The Woolton Group Membership Officer Doug Holgate, attended Yachtsman’s Lodge No 3698, to witness Paul Walls being raised to the sublime degree of a master Mason. 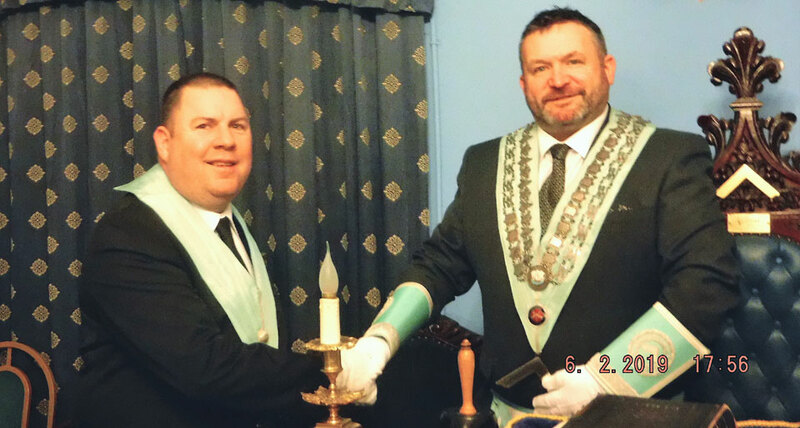 The WM Andrew Jones opened the lodge and the minutes of the previous meeting having been circulated were confirmed and signed. Jonathan Pagan, an entered apprentice, retired from the lodge so that the lodge could be opened to the second degree. Paul Walls was asked the usual questions and answered with candour, after which he retired to be prepared for the next part of the ceremony. Phil Gambrill was asked to occupy the senior warden’s chair and Paul, having been proved by the tyler John Hibbert, was readmitted, accompanied by the senior and junior deacons David Thomas and Peter McGovern respectively. In a fine ceremony Paul was raised to the sublime degree of a master Mason. David Keay provided the exhortation and charge, whilst Phil Gambrill delivered the ‘Traditional History’. Jimmy Campbell delivered the explanation of the third degree working tools. The WM congratulated Paul and presented him with his ritual book and thanked the members of the lodge who had assisted in the ceremony. The lodge was then closed in the usual manner to the first degree and the entered apprentice was readmitted. Before closing the lodge, a proposition was received for a new member, which would mean the lodge has work to conduct in the coming months – initiation in March, second degree in April and another third degree in October. After closing the lodge, the WM, his officers and brethren retired to the festive board, where Doug Holgate, responding to the toast to the guests, offered his congratulations to Paul and presented him with an aid to understanding the ritual book. A very enjoyable evening drew to a close with the tyler John Hibbert proposing the last toast. Paul Walls (left) congratulated by WM Andrew Jones.